Monitor pole barns have a raised ceiling that rises above a center aisle space. 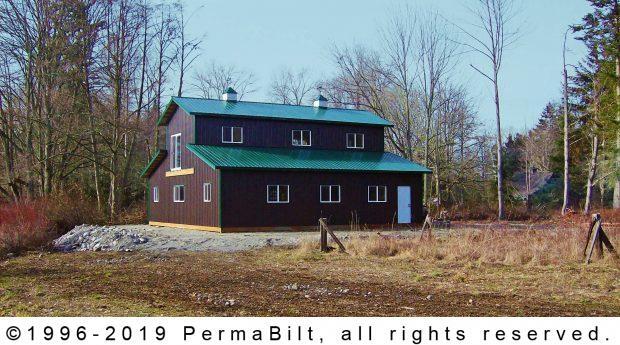 It’s a classic pole barn design. 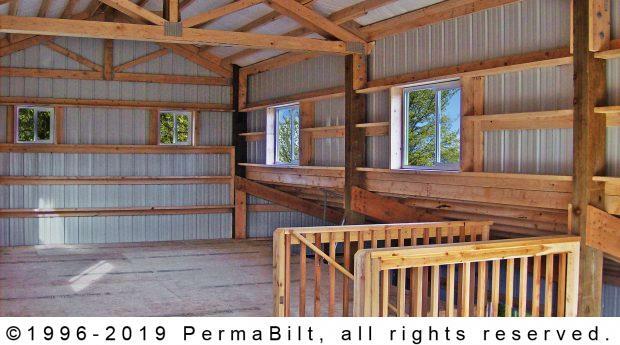 That is what our Sequim Washington couple, having moved from Alaska, was seeking when they came to PermaBilt®—a monitor barn. Working with our Building Representative, the newly-planted Sequim couple laid out their design that included three garage doors, walk-in doors (including a sliding glass door upstairs for their soon to be converted office), several windows to bring in ventilation and natural light, a second story (holding 50 lbs. per square foot), a four foot wide stairway and several accessories such as eave and gable overhangs and cupolas with weathervanes. Equally important, the whole process from contact to construction went smoothly for our customers who couldn’t have been happier with their new building.